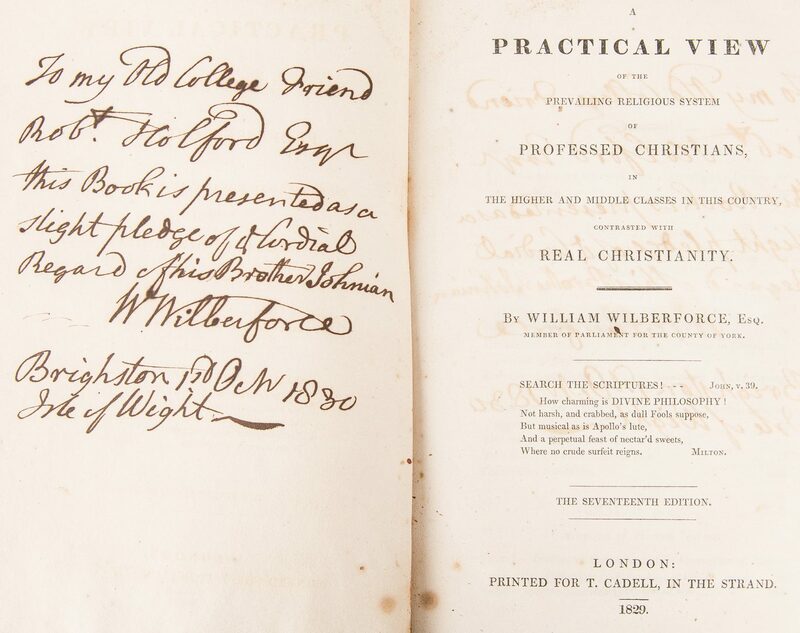 Signed and inscribed book by famed British anti-slavery advocate William Wilberforce. 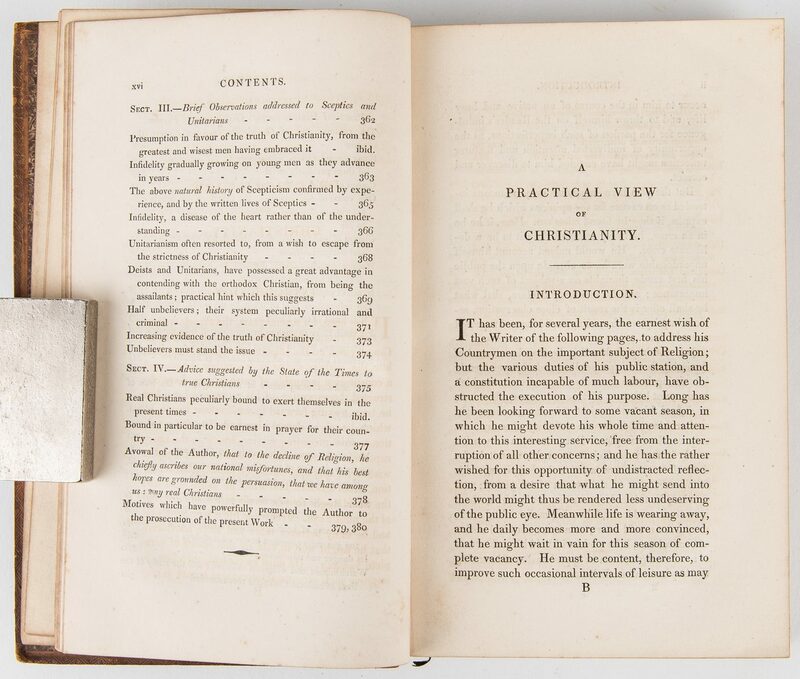 A Practical View of the Prevailing Religious System of Professed Christians, in the Higher and Middle Classes in the Country, Contrasted with Real Christianity, Seventeenth Edition, by William Wilberforce, Esq., Member of the Parliament for the County of York, 1829. 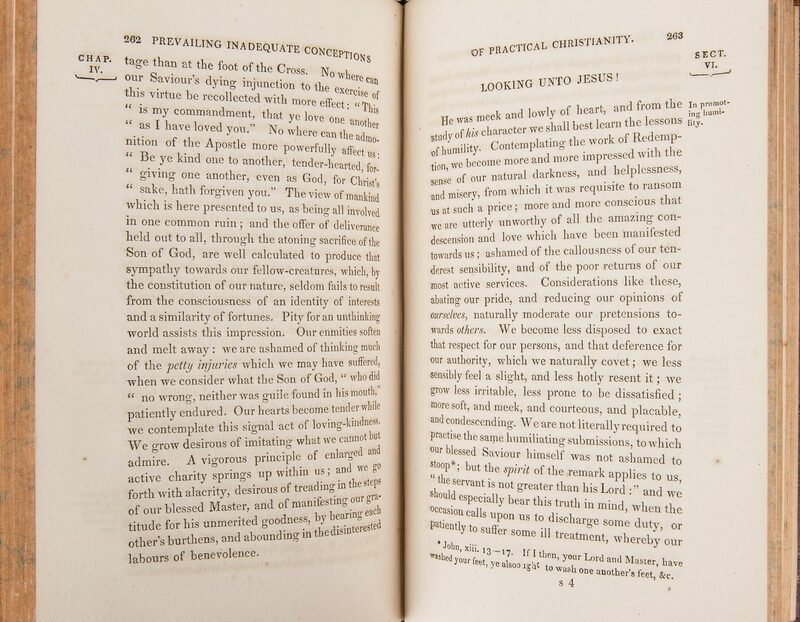 Printed by James and Luke G. Hansard and Sons, London. Octavo, 391 marble edged pages, hard bound in tooled light brown leather with gilt Greek key border design to covers and gilt lettering on black label and gilt foliate blind stamps to spine, brown marble end papers, thin dark green ribbon bookmark. Author inscription reads "To my Old College Friend Robt. 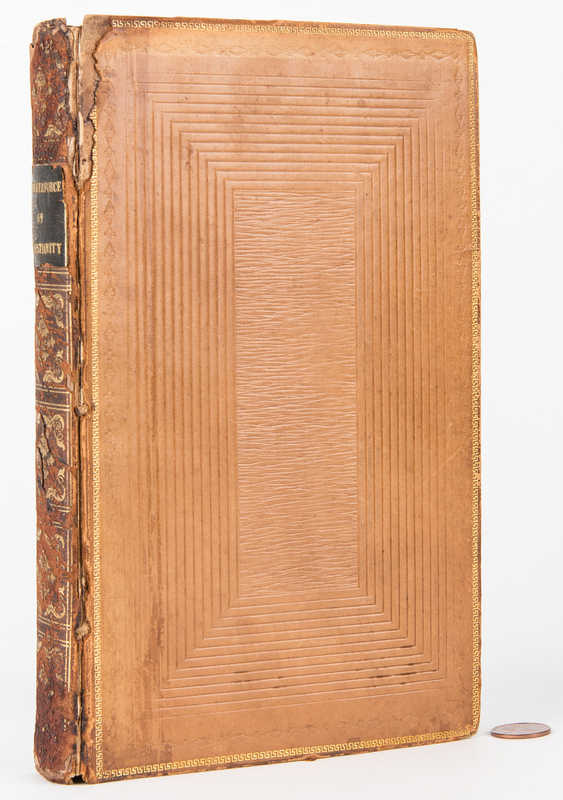 Holford Esqr this Book is presented as a slight pledge of Cordial of this Brother Johnian W Wilberforce Brighston [sic] 1st Oct 1830 Isle of Wight" to front end paper opposite title page. 8 3/4" H x 5 1/2" W x 1 1/4" D. British, early 19th century. 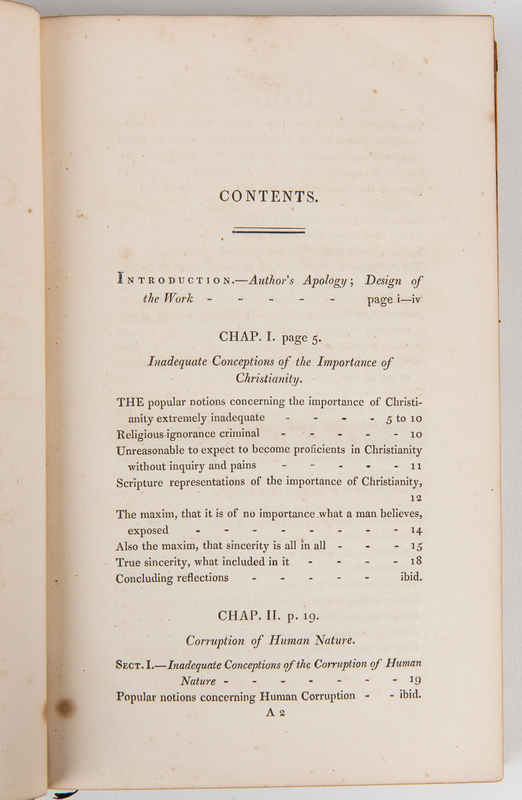 Note: Wilberforce was a deeply religious English member of parliament, abolitionist, and social reformer. He is credited with helping abolish the slave trade in the British empire. His life was the subject of the movie, "Amazing Grace" starring Ioan Gruffudd and Benedict Cumberbatch, released in 2007 to coincide with the 200th anniverary of Parliament's anti-slave trade legislation. 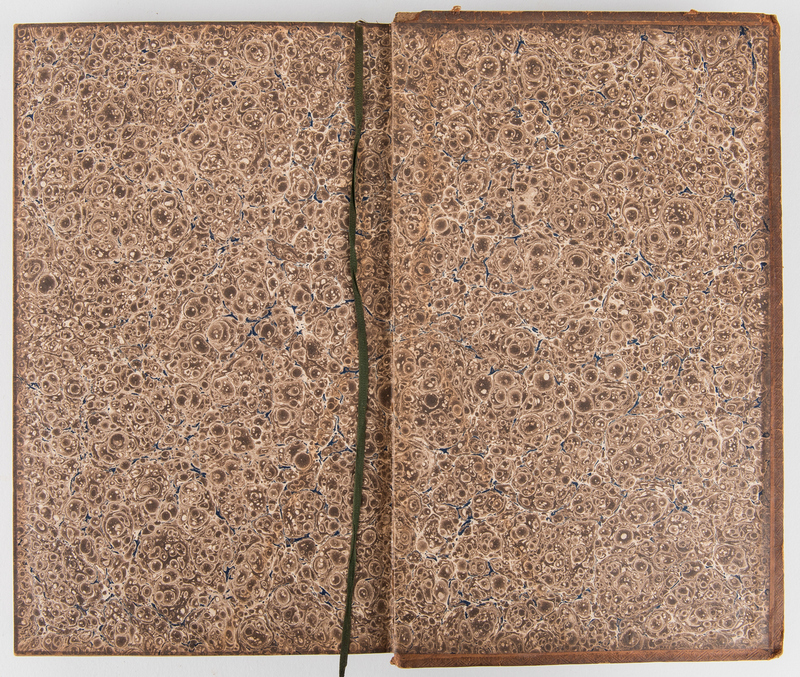 CONDITION: Front cover almost separated from spine, areas of hinge loss to leather, largest 2" x 1/2", corners bumped. 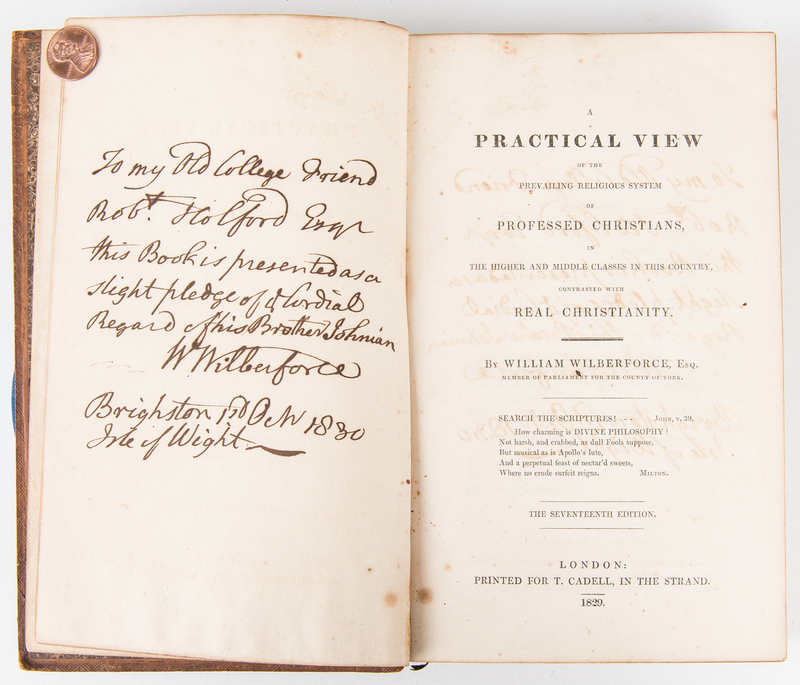 Author inscription in overall good, visible condition, toning impression to title page. Pages with toning, foxing spots, etc. to be expected from age. 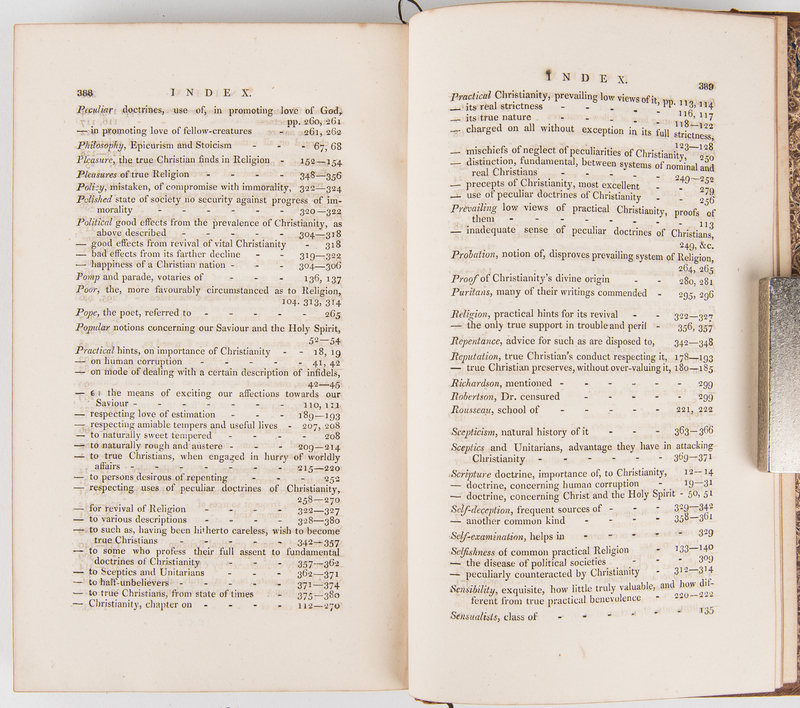 Thin dark green ribbon bookmark separated from binding.